Home · Property Management · Landlord Quick Tips : Ask Brian: How Do I Retire From Active Landlording? Ask Brian: How Do I Retire From Active Landlording? Question. Josh from NE Georgia writes: Hi Brian. Enjoy reading your articles. I’m almost 60. I have 30 houses that are now all paid off. They are all rented, bringing in an average $650.00 per month. I rent, collect, evict, do maintenance, everything. I’m the property manager. I’m slowing down and getting tired. What are my options from here with these properties? Answer. Hello Josh. Thanks for writing. It sounds like you’re in a pretty good financial position. Almost certainly, this is after many years of hard work looking after all of those properties. Now, you are in a good position for an early retirement or semi-retirement. You also have several options. Property manager. Josh, I won’t spend much time on this because without a doubt you’ve already given it some thought and are aware of the pros and cons. You can expect the management cost to be about 10% of monthly rent or a flat fee around $100. But reality is your costs will go up more than that. You’ll also be paying professionals to make repairs and do maintenance that you previously did. What you might think about is keeping this option in your hip pocket a few more years until you’re a little older. You could continue managing a few of your choice properties for now and switch them to property management a little later. Selling outright. The current market is great for this option. Rentals almost always make good first homes. The market is starving for these. You can easily sell some of them now for top dollar. You can require the buyer to cash you out completely with a mortgage. That would give you a lot of cash to passively invest. Since you are not yet 60, it’s worth considering rolling the cash into a self-employed traditional 401k or a self-employed Roth 401k. There are major tax advantages to both of these. You can also borrow from a 401k without losing the tax advantages. You could go with an IRA but there are stricter limits to how much you can contribute each year. You’ll want to talk to a financial advisor about your specific options. Lease option. A lease with an option to purchase has several upsides. One upside is you can usually get the maximum sales price (even slightly above market) because you are being very flexible with the buyer. This could be an option for renters that you already have a good relationship with and who are likely to qualify for a mortgage in a year or two. Another upside is you can rewrite the lease to make the potential buyer responsible for almost all of the maintenance and repairs (have them to start acting like an owner). 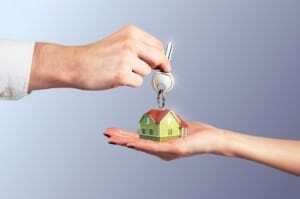 A lease option might also make it possible for you to complete the sale without needing real estate agents. Yet another advantage is it leaves open the possibility to seller finance a few years down the road. Seller financing. This is an option really worth considering. However, you should first get some advice from a real estate attorney regarding consumer protection laws. The Dodd-Frank Act had an impact on seller financing and there could be state laws to consider. But seller financing is a great way for you to create a passive income steam for your retirement. But since you’re not quite 60, consider the loss of income in 20 or 30 years when the mortgages are paid off. And the probability of balloon payments when the original buyer sells in 5 to 7 years. On the upside, your money remains highly secured when it’s backed by real estate and the interest income is reasonable and reliable. There is also a strong secondary market for seasoned mortgages if you need to sell these in a few years. Continue managing choice properties. This is where you pull all of your options together to create a robust retirement plan. Since you’re not yet completely out of energy, you can implement a retirement plan over a few years. You can start moving some of your 30 properties into one or more of the other options while you continue managing a few of your select properties. You’ll need to decide on the criteria for the houses you stay active with and those that you divest from. Logical criteria are: ease of renting, low maintenance, highest profit, easiest to sell at a future date. You’ll gain hands on experience with your other options so that you make a fully educated decision how to best divest from these choice properties when the time comes. Please comment with your options and thoughts about retiring from the landlord game. Our weekly Ask Brian column welcomes questions from readers of all experience levels with residential real estate. Please email your questions or inquiries to askbrian@realtybiznews.com.